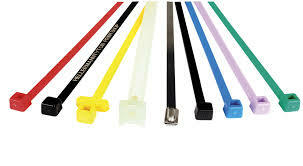 Superlock Cable Ties is a reliable Supplier of PG Cable Glands, Marker Ties , Heavy Duty Cable Ties , Push Mount Cable Ties , Releasable Cable Ties , Cable Markers , Cable Clips , Tie Mounts. We have a team of highly experienced and responsible team members, willing to serve the customers with certified products made available at reasonable prices. We test the products on different parameters, which include durability, strength and overall quality. In addition to that, we use qualitative material for the packaging of the products, which prevents deterioration.